Our project known as Vivaldi saw our creative team push boundaries to produce something truly ground-breaking. 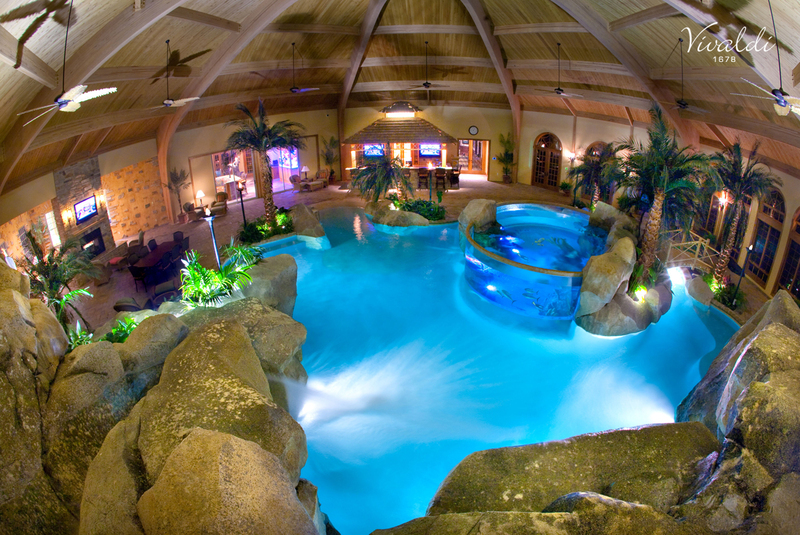 Commissioned to create a stylish indoor pool with waterfall, we exceeded all expectations by building an in-pool 10,000 gallon saltwater aquarium which was the first of its kind. 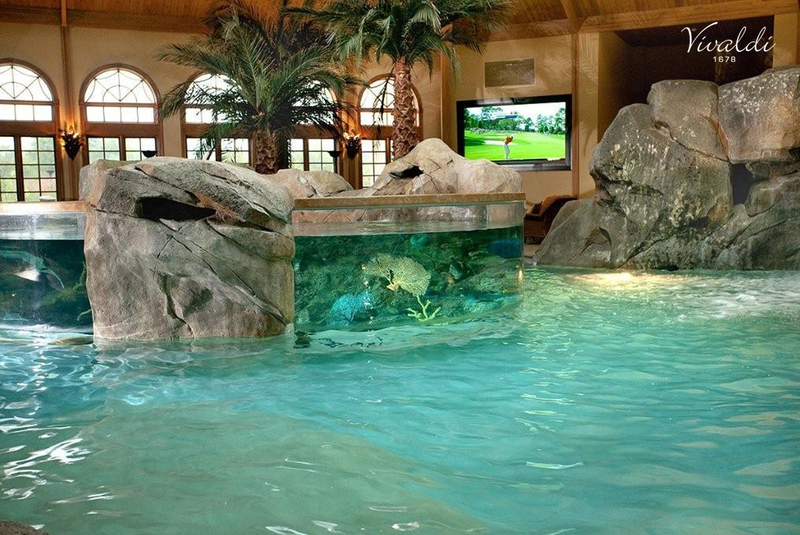 Offering the chance to swim alongside colorful tropical fish, separated only by three inches of acrylic glass, this tranquil haven will make swimmers feel as if they have been transported to the warm waters of a coral reef. It is not just the exotic sea creatures which give this pool a sense of adventure and wonder. 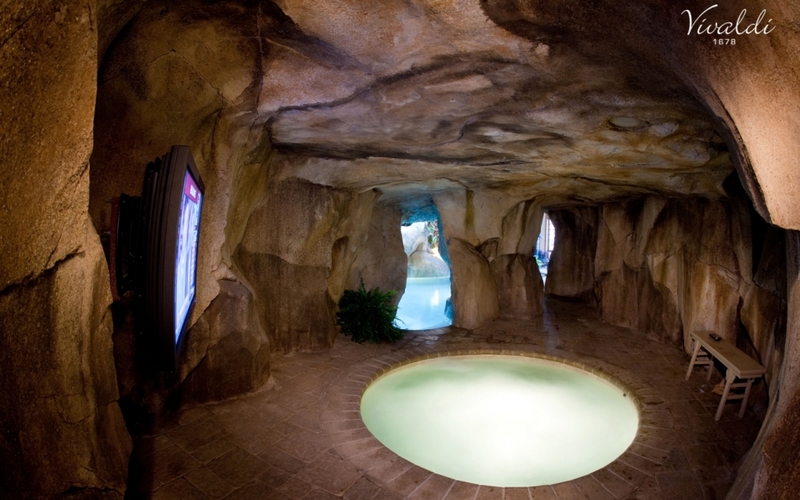 An impressive waterfall in a mountain of simulated granite conceals a hidden treasure. 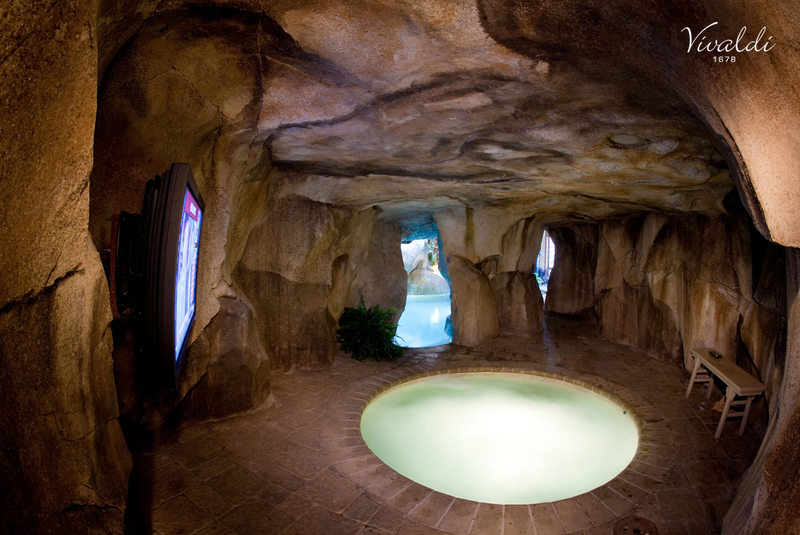 Behind the rushing water, there is a secluded cavern complete with Jacuzzi, state-of-the-art entertainment technology and automated climate control. While the project’s namesake Antonio Vivaldi would never have imagined a swimming pool like this in his wildest dreams, the Italian Baroque composer was known for innovation and exploring new territory with his work. We believe our one-of-a-kind project would have appealed to his sense of flamboyance and exuberance as well as his pioneering style.